← Will hospitals lose their property tax exemptions? 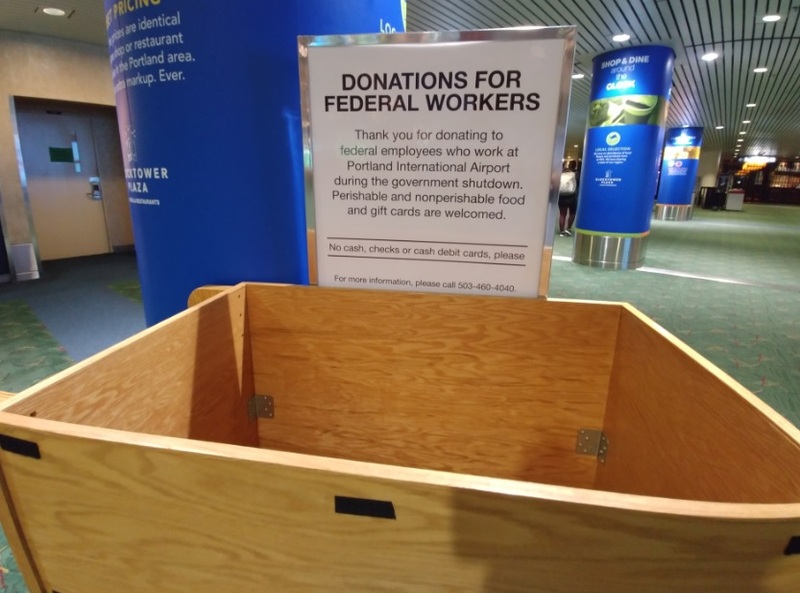 In a sign of the times, on Thursday the Portland airport had a box accepting food donations for federal airport workers and by Saturday it was taken down as the shutdown ended. The Willamette Week reported that almost 2,000 federal workers in Oregon have applied for unemployment benefits because of the partial government shutdown.